There are billions of images on the internet available at a click. If you are a business or website owner, you might have to deal with images. You need new and different images for your content, promotions, website and branding etc. It’s sad to know despite billions of images on the internet you cannot use them. That’s because of copyright issues. The owner of the image whether it’s an individual or a business restricts the use of that image through image licenses for obvious reasons. Some people don’t think about copyright issues and they Google the required image and use in their projects. However, never do this. It’s unfair and illegal. If you get caught, you will mess up with yourself and your business. If you also did this in the past, I recommend you to remove any stolen or copied images from your website and business to avoid any legal issues. Also called micro-stock market. This is an interesting license. If the owner or the creator of the image puts its work under RM License, it means that the owner still has rights and restricts the use of the image or content as per his terms. When a user approaches the owner or agency to get images under RM License, he has to inform about his business, use of image, size and resolution required, the time of use, location (geographic) where the image will be used, etc. Then the RM license is prepared only between the owner and the user. The user must follow the guidelines and restrictions laid down under the RM license. Once the duration of license expires, he will again have to buy the work from its owner for further use. If the RM license is issued for you, then only you are allowed to use the image. No one except you can use the image or buy from the owner until your license expires. Due to this exclusivity, you keep away your competitors from using the same image in their marketing and advertising campaigns. So, RM license is mainly used by big companies to avoid graphical collision with its competitor’s weather big or small company. This helps a brand to keep its uniqueness with confidence. Also called microstock market. 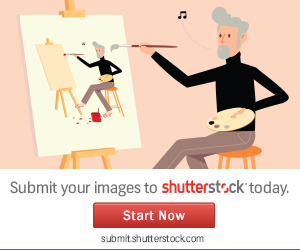 This is the most popular type of license used by stock image agencies. If you have purchased any image under royalty-free license then you are more like the new owner of the image. You can use the image as it is or modify it or sell/distribute as desired. There are no hard restrictions on the user. You can use the image in as many projects as you want without paying again as compared to RM License. Image bought under RF is free of time duration. That means once you have bought the image, you can use it forever as you want. Remember, the images bought under RF license are non-exclusive that means that anyone can purchase the same image and use in his projects. This might create blunder if you find your competitor using the same image in his marketing or website. But unfortunately, you won’t be able to do anything about it. If you want the image to be exclusively yours then you must go for RM License. Once an image has been sold with a Royalty Free license it cannot be sold with a Rights Managed license. Images under CC0 license has no rights reserved and can be used by anyone for any purpose. You can even use these images as it is or with modifications with no restrictions. Once the owner declares his work under CC0 license, he waives all his rights from that image. Images under CC0 license are free! It’s like a gift from the owner of the image for his own benefits like brand promotion, attracting website visitors etc. Like, we can also distribute images under CC0 on our website. These images will be free of cost and anyone can download them and use them as desired even for commercial purpose. This can bring more visitors to our website and can cause an increase in popularity of the website. The best thing about the images under public licence is that they are not owned by anyone. (therefore called Public Domain). These can be too old images. Images by government and images that are not owned by artists or designer nor they are protected by copyrights and trademark laws. In simple words, the public is the owner of these type of images and no one can claim it. They will always remain under public domain to be used by the public free of cost and with no restrictions. It doesn’t mean you can pick up an image that doesn’t have an owner. You can only pick images that are licensed under CC0 or Public Domain. You will find the license mentioned somewhere on the website, in the file information. If you aren’t able to find CC0, then you should not use that image because that image hasn’t been put under the CC0 license by its owner. Note – The rules can vary as per jurisdiction of the country. Like, an image under public domain in the US may or may not be under public domain in India or any other jurisdiction. Therefore, it’s important to follow laws as per your country. Did you know – On January 1, 2024, the very first Mickey Mouse cartoon Steamboat Willie will pass into the public domain, along with The Barn Dance. The expiration of the copyrights in these films will mean that anyone can make copies of them.